If you are having problem with wifi coverage in your ‘big’ house, there are 2 solutions to your problem. Either you upgrade the antenna to a high gain antenna or purchase a range extender. The best solution is to upgrade the antenna and use a range extender, alternatively, you can optimize your router via this simple 6 tips on getting 5x better Wifi signal and speed, a simple hack such as aluminum foil and changing the position of the router will greatly boost the overall coverage. Directional Antenna – A directional antenna is one that radiates its energy more effectively in one (or some) direction than others. Typically, these antennas have one main lobe and several minor lobes. 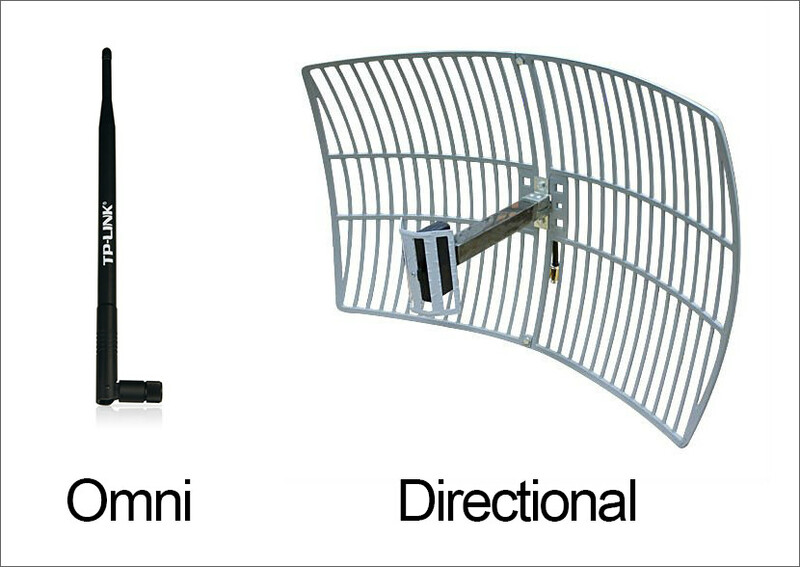 Examples of directional antennas are patches and dishes. Omni Antenna – An omnidirectional antenna is an antenna that has a non-directional pattern (circular pattern) in a given plane with a directional pattern in any orthogonal plane. Examples of omnidirectional antennas are dipoles and collinear antennas. Omni Antenna is widely used in most routers. 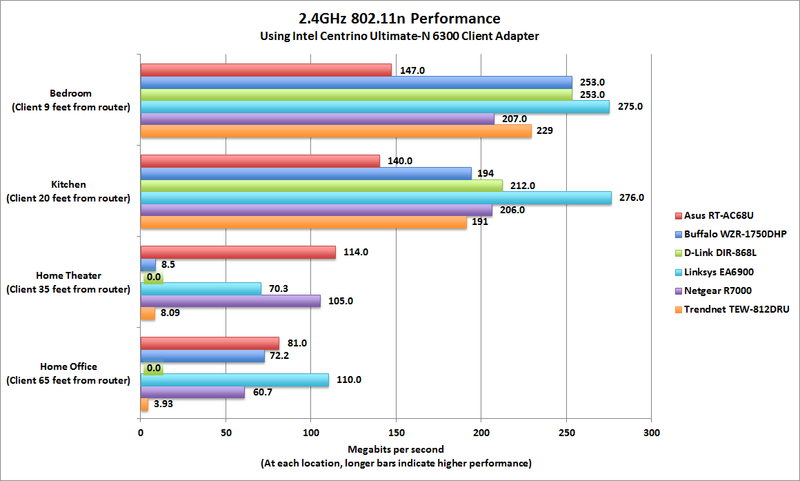 As shown in the table below, the latest wireless 802.11 standard has the best coverage in term of distance. However, it doesn’t eliminates blind spots (dead zones) when it comes to internet sharing between a very long distance. 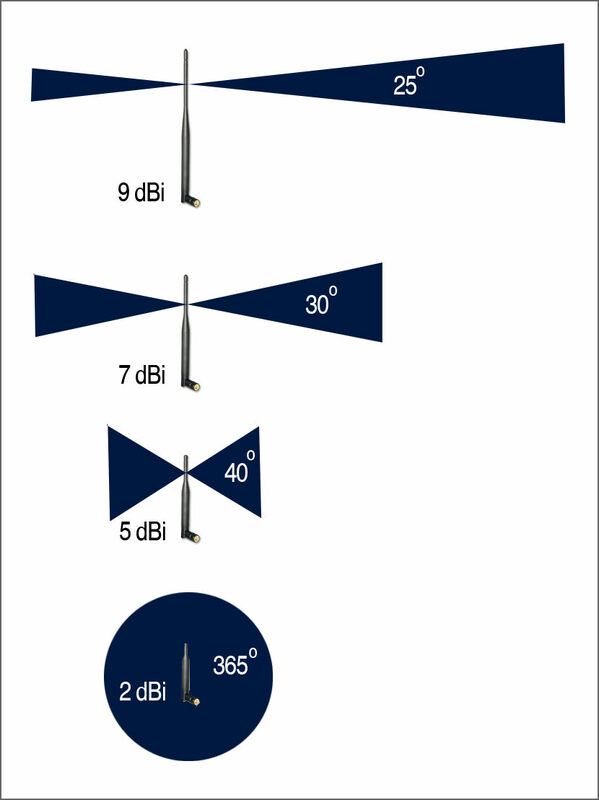 Below is the approximate range for various brand and type of antenna. Do understand that the range of the signal depends heavily on the position of the router, number of antenna, types of antenna and many more. What is the difference between 5 dBi, 7dBi, 12 dBi and 15 dBi antennas? Well, the higher the dbi, the wider the coverage. Based on my own limited understanding, the higher the dBi, the weaker the signal. The signal will fluctuate as it covers more areas. As for TP-Link claimed on achieving 56km, it is almost impossible unless you have a clear line of sight. It is a better idea to buy a Range Extender, you can read more about range extender. As shown in the image below, an antenna with low dBi has 360 degrees coverage whereas a high gain antenna has more distance. It will be a good idea to purchase 1 high gain 9dBi antenna for your router. 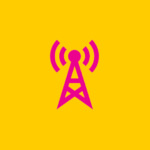 The primary difference between the 2.4 GHz and 5GHz wireless frequencies is range as the 2.4GHz frequency is able to reach farther than the 5GHz frequency. This is a result of the basic characteristics that waves attenuate much faster at higher frequencies. So if you are more concerned with the coverage, you should select 2.4GHz rather than 5GHz. The second difference is the number of devices on the frequencies. 2.4GHz suffers more interference than 5GHz. The older 11g standard only uses the 2.4GHz frequency, majority of the world is on it. 2.4 GHz has fewer channel options with only three of them non-overlapping, while 5GHz has 23 non-overlapping channels. A lot of other devices are also on the 2.4 GHz frequencies, the biggest offenders are microwaves and cordless phones. 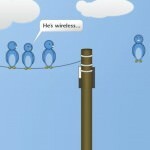 These devices add noise to the medium that can further decrease the speed of wireless networks. In both aspects, choosing to deploy on the 5GHz frequency is the much better option as you have more channels to use to isolate yourself from other networks and there are far fewer interference sources. 5GHz has a shorter range compared with 2.4GHz. The 2.4GHz frequency is way more crowded than 5GHz, devices on 2.4GHz suffer much more interference than the ones on 5GHz. 5GHz is ideal for those living in a high density area, such as Condominiums where every house has a wifi device. Fewer devices, especially older devices are not capable of using the 5GHz channel than the 2.4GHz channel. We’ve been putting our routers in the wrong place this whole time. Wifi signals are made of radio waves that have a shorter wavelength than AM radio and cell phones but longer than satellite tv. How can I make my wifi faster? There are several things you can do to make your wifi faster without paying more, and they mostly have to do with the placement of your wifi router. I am a big fan of Linksys (Cisco), my second favorite brand is Asus followed by D-link or TP-Link. Huawei, Netgear and Buffalo are equally good too. The rule of thumb is to always purchase quality brand over unreliable brands. These devices are means to operate 24 hours every day until they are broken, thus a high quality product is important. Most wireless routers contain a built-in radio antenna that broadcasts its Wi-Fi signal in all directions. 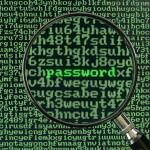 Upgrading the Wi-Fi Antenna on a Wireless Router? Which is the best? How to Extend Your Wi-Fi Network? Ways to Boost a Router Signal? How to Increase the Range of Your Wifi? 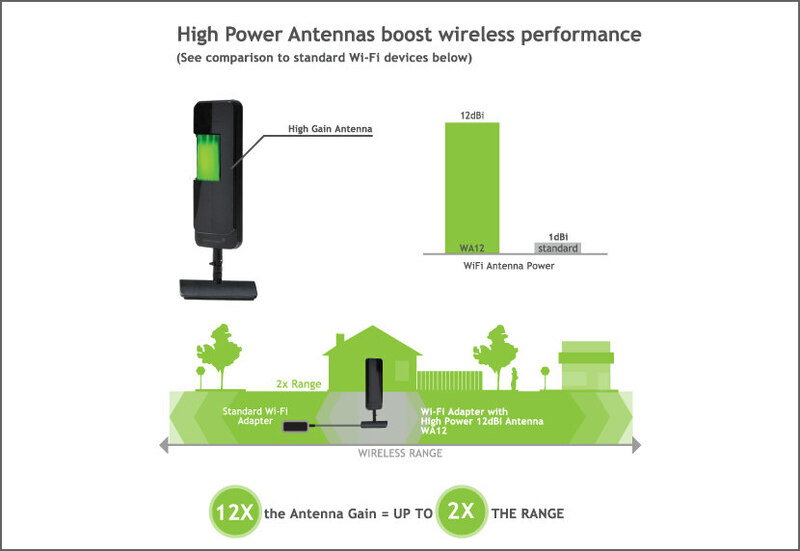 Installing aftermarket antennas on Wi-Fi equipment helps increase the devices’ effective range. However, because radio antennas only help concentrate and direct signals, the range of a Wi-Fi device is ultimately limited by the power of its radio transmitter rather than its antenna. 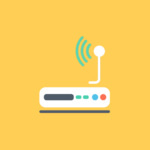 For these reasons, signal boosting of a Wi-Fi network is sometimes necessary, normally accomplished by adding repeater devices that amplify and relay signals at intermediate points between network connections. and what antenna you finally chose. These are a bit expensive for home usage, but for large network is good. Hi any one can suggest best wi fi extender wireless device to extend coverage area in a bungalow. It also should be economical. Pls revert with best solution i will be thankful. I highly recommend Asus Wifi Range Extender. I’ve been using an Asus Router, almost 5 years and they still release firmware updates, this goes to show they are committed to fix bugs and cares about their customers. TL-ANT2424B is probably your best bet. hello everyone i want to use alpha awus036h + grid 15dbi to get internet from long distance is it possible that i have fast internet and download speed from example 7 klm ? please help me before i buy .. i wish to know what is the maximum klm to get fast wifi ?? Search for ‘Ubiquiti Networks’ products, they have some really power dish that can transmit really far. Currently have a Linksys EA9500 Wireless Router. Excellent beast. Great coverage indoor and out. Want to boost the signal outside in front and back. Without any detachable antennas what options do I have without losing signal strength. Also have 500Mbps and would like to push that out as far as I can around my property as I can. Create a WindSurfer for those antennas, maybe a slightly modified version that fits 3 antennas. For all those asking about cranking up their WiFi to extend to 1 kilometer or something stupid like that try learn about linear amplifiers and rig it up with modified CB antenna. Must warn they are illegal in some countries due to their ability to blow up electronic devices nearby like TVs and alike.